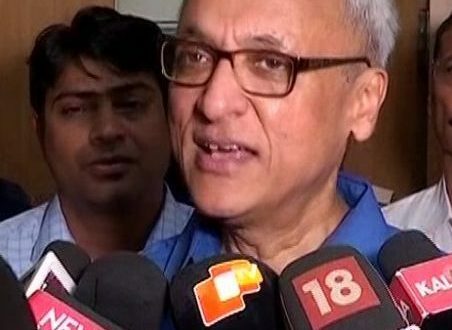 Bhubaneswar:10/8/18: Odisha is the mining capital and it is one of the major performing States in the country, said Union Mines Secretary Anil Mukim today. Talking to reporters after meeting Odisha Chief Minister Naveen Patnaik today, Mukim stated that Odisha has done a substantial work as far as mining activities are concerned. Moreover, 17 to 18 new mines including iron ore mines will be auctioned this year in Odisha. “NALCO has recorded profit of more than Rs 600 crore in the first quarter and they are going to sustain it for rest of the quarters,” said Mukim. The Union Mines Minister further informed that Odisha has Rs 5,000 crore under the District Minerals Fund (DMF). Several new projects under DMF are being approved while the monitoring mechanism has also been put in place in the State. Next: Bhubaneswar:10/8/18:Chief Minister Shri Naveen Pattnaik releasing Tribute Books on Cine stars late Parbati Ghose and Goura Prasad Ghose at Secretariat.